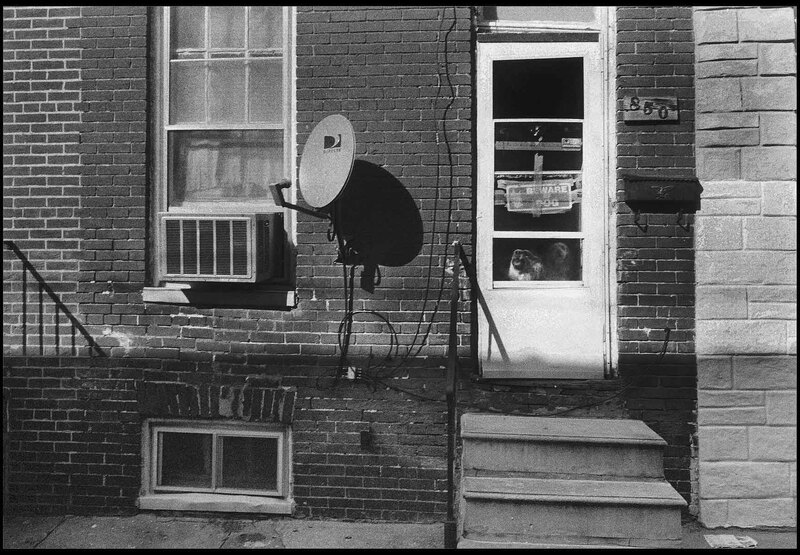 Muffled barking alerts homeowners on Pigtown's Reinhardt Street to activity outside as the sun highlights the well-worn brick of the neighborhood. Built in the early 1900s, the homes along Reinhardt Street represent an example of the simple construction of homes originally built for workers at the nearby Mt. Clare Shops and Yards of the B&O Railroad.